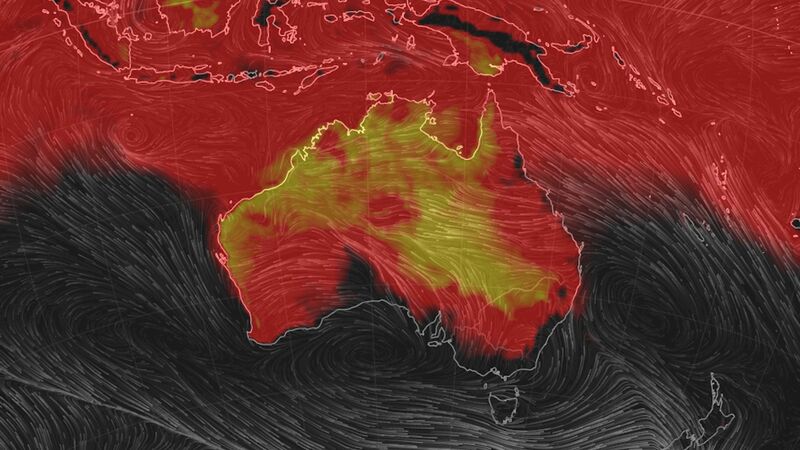 While the U.S. awaits the consequences of a breakdown in the polar vortex, Australia has been sizzling through an unrelenting series of heatwaves that have shattered all-time records. Why it matters: Heat waves are one of the clearest manifestations of global warming, and extended episodes can be particularly deadly and costly. In Australia, they also heighten the risk of wildfires. Details: The heat waves began in December and have continued throughout January. On Dec. 27, the average daily national maximum temperature in Australia was the hottest on record for December, and the second-highest for any month, the Bureau of Meteorology found. The BOM found the heat noteworthy for its long duration and broad extent, saying in a special report on Jan. 17 that every state and territory in the country has been affected at some point. 35.9°C, or 96.6°F: The overnight low temperature on Jan. 17 in Noona, New South Wales, which was the country's hottest nighttime low on record. 40°C, or 104°F: The temperature reached or exceeded in Canberra for 4 consecutive days, something that had not occurred since records began there in 1939. 49.3°C, or 120.74°F: High temperature in Marble Bar, Australia, which was the highest temperature for anywhere in Australia in 2018. 44.1°C, or 111.3°F: Average monthly temperature in Marble Bar during December, a new national record for the month. 40.19 °C, or 104.3°F: Average daily maximum temperature for Australia on Dec. 27, which was the hottest December day on record for Australia. The big picture: While the proximate causes for Australia's heat waves in late 2018 and early 2019 include a weak El Niño event in the tropical Pacific Ocean, the BOM and the country's main climate agency, CSIRO, have concluded that Australia's climate is changing as a result of human-caused global warming. Australia's climate has warmed just over 1°C, or 1.8°F since 1910, "leading to an increase in the frequency of extreme heat events." Oceans around Australia have warmed by nearly the same amount since 1910, "contributing to longer and more frequent marine heat waves." In addition, the length and severity of the fire season has increased "across large parts of Australia," the report found.